Serving composers, artists, performing organizations, educators, students and audiences of all ages, we offer a feast for the ears from the heart of our unique cultural experience! By connecting the world with Canadian music and the talented artists who create it, we maintain an extensive archive of scores and works by Canadian composers accessible online and through our lending library as well as a publishing and repertoire consultation service. The award-winning Centrediscs label offers high quality/professional commercial and archival recordings. 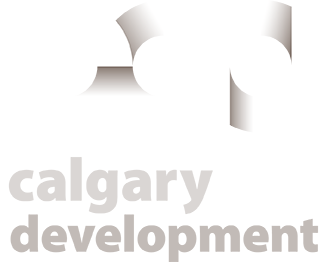 We are a valuable cultural resource, representing a growing community of over 900 professional Canadian Composers by showcasing their music through our website and social media, at conferences worldwide and educational workshops. 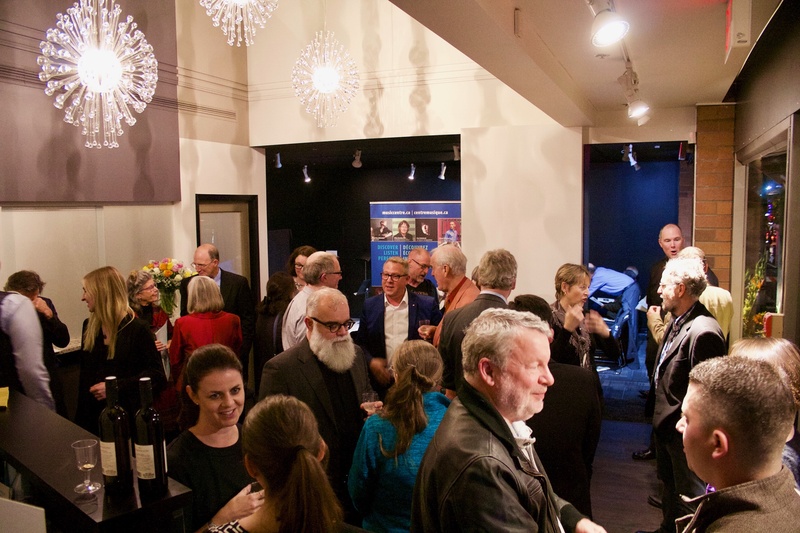 Since nothing compares to a live performance, the CMC hosts and sponsors concerts and events across the country connecting audiences with our talented Canadian composers. Entering its sixth decade, the CMC is a living witness to the creative spirit flourishing across the county and resonating beyond our borders. 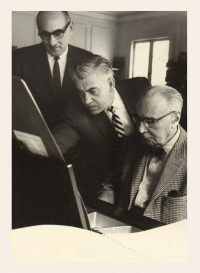 In January 1959 a group of visionary composers and arts leaders founded the Canadian Music Centre in Toronto. These included: Louis Audette, Kenneth Carter, Lyell Gustin, Jean Papineau-Couture, Geoffrey Waddington, William Low, Arnold Walter and John Weinzweig. 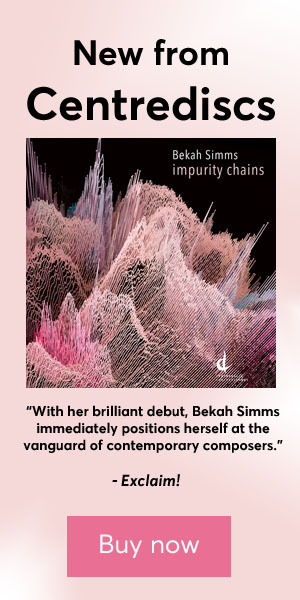 Beginning with some twenty individuals, today’s CMC promotes works created by more than 900 Associate Composers. 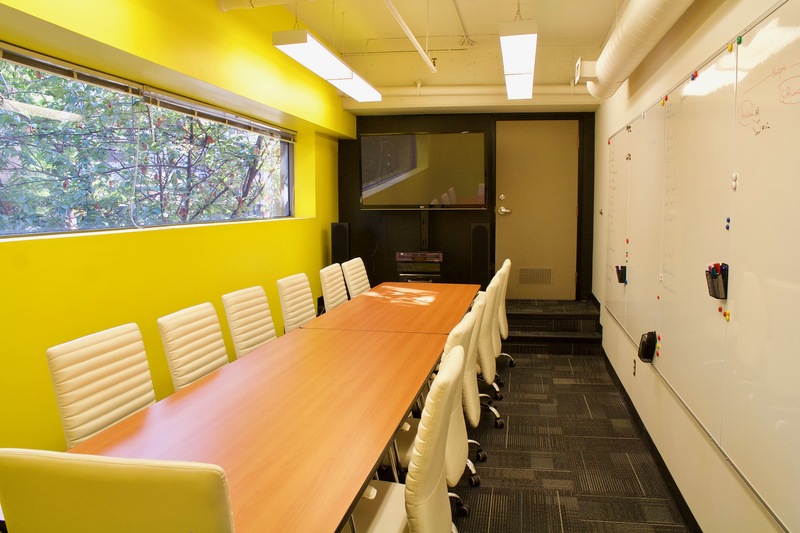 Regional offices opened in Quebec (Montreal) in 1973, British Columbia (Vancouver) in 1977, the Prairies (Calgary) in 1980, Ontario (Toronto) in 1983 and in the Atlantic Region, first in Sackville in 1989 which re-located to Halifax in 2015. 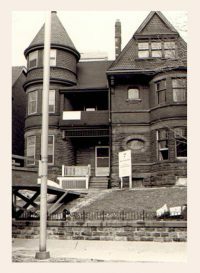 In 1984, a significant gift from Joan Chalmers and other generous supporters, honouring Floyd and Jean Chalmers, provided a home for the National Office and Ontario Region in a restored 1892 historic building, known as Chalmers House, in the heart of downtown Toronto. In 1986, the Ontario Region library was dedicated to Ettore Mazzoleni and the Prairie Region Library named to honour Violet Archer. 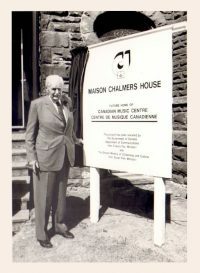 Click here to read more about the early history of the CMC, as found in Karen Kieser’s The Canadian Music Centre; a history. In 2012, an extensive renovation of the CMC’s headquarters resulted in the creation of Chalmers Hall for concerts and events. 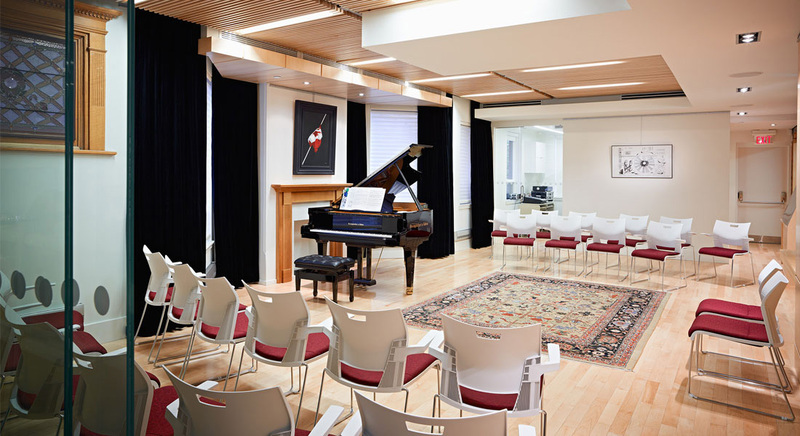 A seven-foot Steingräber & Sons grand piano and an the iconic painting of the Canadian flag by Charles Pachter feature prominently in this intimate salon, which has provided an excellent venue for recordings, concerts, workshops and meetings. 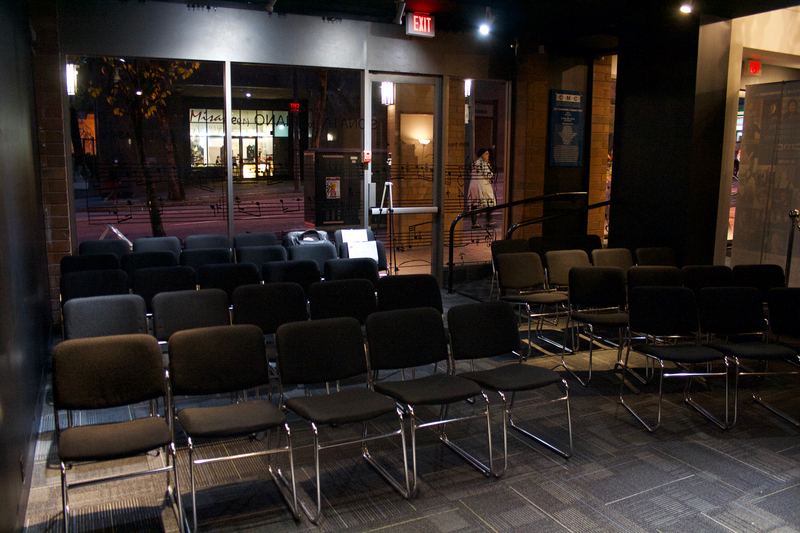 In 2016 the renovation of the Vancouver Creative Hub included the creation of the Murray Adaskin Salon which features a beautifully restored piano originally owned by Mr. Adaskin. In 2009, to celebrate its golden anniversary, the CMC recognized 50 outstanding performers and conductors who have played exceptional roles in shaping the Canadian music scene over the course of the last 50 years. It is their collaboration with Canadian composers that brings new music to life and the CMC is delighted to recognize their talent and dedication. Robert Aitken, Lydia Adams, Colleen Athparia, Karin Aurell, Mario Bernardi, Louise Bessette, Walter Boudreau, Isabelle Bozzini, Jeremy Brown, Kathryn Cernauskas, Lawrence Cherney, Robert Cram, Lise Daoust, Julie-Anne Derome, Eve Egoyan, Victor Feldbrill, Salvador Ferreras, Judith Forst, Peter Gardner, Rivka Golani, Janet Hammock, Ian Hampton, John Hess, Gwen Hoebig, Beverley Johnston, David Kaplan, Elaine Keillor, Gary Kulesha, Véronique Lacroix, Marie-Chantal Leclair, Robert Leroux , Bill Linwood, Eduard Minevich, Mary Morrison, Marie-Danielle Parent, Alex Pauk, Joseph Petric, Christina Petrowska Quilico, Olga Ranzenhofer, Shauna Rolston, Heather Pawsey, Barbara Pritchard, Sylvia Shadick-Taylor, Jacqueline Sorensen, Wayne Strongman, Bramwell Tovey, Alain Trudel, Owen Underhill, Lorraine Vaillancourt, Pauline Vaillancourt, and Jon Washburn.